Oil States has a long history of supplying unique grouting solutions and products. These products have been proven on hundreds of platforms, in the most rigorous applications worldwide. Our Fixed Platform Group provides patented technologies and reliable service so customers can have confidence at every step of the project. Grouting solutions and products ensure a smooth transition from initial installation to permanently securing the jacket sleeve to the pile. Products and services include inflatable grout packers and activation systems, passive grout seals, grout hardware and grouting systems design. Fast, reliable inflatable seal holds the grout column while curing. Available as a kit or full assembly. Single-stage grouting operation saves time and money over two-stage grouting. Not limited by water depth or grout weight. Pressures to 1,000 psi and sizes to 180″ diameter. 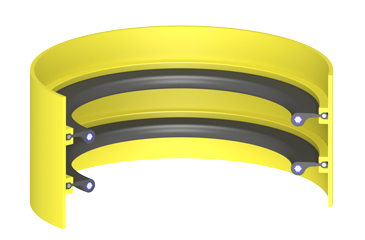 Inflation access via surface tubing line, ROV or diver; no direct contact prior to installation. High-capacity, passive grout seal. Single seal for 60′ grout column. Double-seal style supports 100′ grout column. 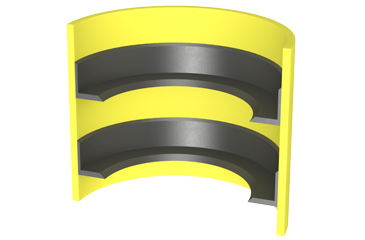 High-strength fiber core generates seal against the pile. Available in kit form or as a complete assembly. 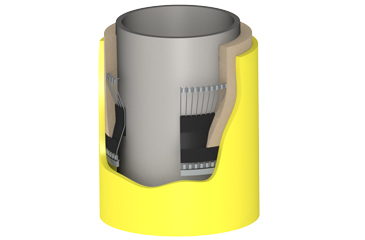 Mechanical grout seal that supports 100′ grout column. Spring tension holds seal in place during install to prevent mud contamination of the annulus. Opposing elastomer lips are grout pressure energized during pile installation to hold the grout in place. 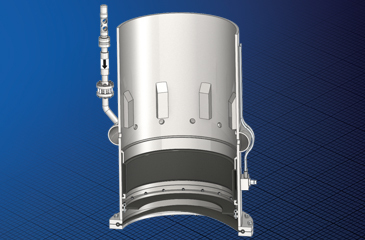 Supplied mounted in a cylinder or as a kit for installation in a leg or pile sleeve. 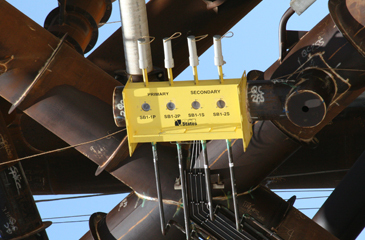 An economical solution for small jacket/pile annulus conditions. Low-cost, low-pressure solution. Supports 10′ grout column. Used as a mud wiper and backup seal for inflatable grout packer, pressure-grouted legs or other two-stage grouting operations. Stays in contact with the pile. Available in single- or double-seal design. Supports 25′ to 40′ grout column. Typically used on two-stage or pressure-grouting applications. Low cost, easy installation with no external activation. 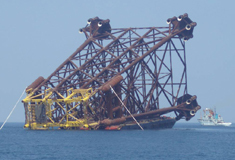 Perfect for subsea templates or minimal type jackets. Simple design using Oil States male/female hot stab components. Easy access for ROV at fewer locations. Visual indicator gauges to monitor operation. Packer inflation capable. Compact unit reduces grout line to a single area. Reduces cost of grout-line piping and installation. Simple, pressure-balanced design. Grout packer inflation capable. Operable by any work-class ROV. Quick, efficient subsea delivery of grout. 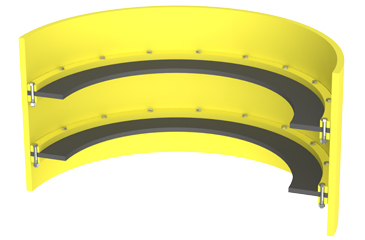 Can be used as part of Oil States multi-station, subsea panel to reduce piping costs. 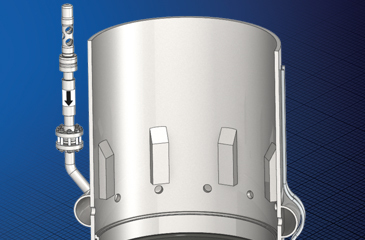 Wide orifice can be used with high-density grouts; 2″ and 3″ sizes available. Ensures one-way direction of flow; prevents back flow. Proven design specifically for cement/grout. Isolates jacket leg and pile sleeves from grout-line damage. 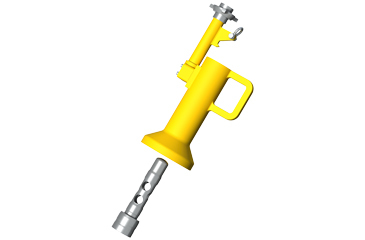 Allows location of subsea hot stabs at any elevation. Socket weld connections in 2″ and 3″ sizes. Protects buoyant legs and sleeves from premature flooding through damaged grout or flood lines. Located anywhere in the piping system. Wide range of burst/pressure ratings available.